Using IRM, information and its control can be separately created, edited, distributed, viewed, and distributed. A proper IRM system is typically used to protect information in a business-to-business model. This might be in the form of financial data, intellectual property, and executive communications. IRM is used on a vast scale worldwide, and hence is a part of a huge Information rights management market. Solutions used by information rights management solutions use encryption to prevent unauthorized access. In order to access the encrypted data, users mainly are provided with a key or a password. A person who is using IRM can apply certain restrictions and permissions on other users that can either permit or deny, or enable both options, with respect to a specific piece of information. Preventing use of screenshots, denying printing, editing, and copy pasting are some of the key restrictions present in a typical IRM model. In case of permissions, a user might have the ability to carrying out offline activities associated with particular document, without the need for network access. Some other examples include full auditing of access to documents, as well as changes made to rights/policy by business users. Mapping of particular business-based documents also is a type of permission present in IRM models. Users can revoke or change such restrictions and permissions too. Information rights management (IRM) is a domain encompassing technologies and techniques primarily used to protect documents and files from unauthorized access or actions. A subset of digital rights management, it focuses on managing and securing sensitive data in an organization using the methods of encryption. The data are normally present in multimedia format or in the form of Word documents, PDFs, and emails. The adoption of IRM technologies decide access rights for actions such as viewing, forwarding, copying, deleting, editing, or printing. IRM is increasingly garnering attention among enterprises world over as a crucial part of IT security that helps in securing enterprise document files usually shared between the parties outside of the organization. The substantial drive that information rights management technologies have in various industry verticals has stemmed from the growing significance of document-level encryption and rights management. The growing number of insider threats plaguing enterprise content has led to the mounting concern of sensitive information loss. The concern is especially crucial in highly regulated industries such as the government, healthcare, and banking and financial services. This is a notable factor underpinning the demand for IRM. In several developing and developed nations stringent compliance requirements in place for industries to adhere to are further fortifying the adoption of IRM technologies. Furthermore, the staggering rise in the usage of mobile devices across enterprises and the trend of bring-your-own-device gathering steam in enterprise mobility, the information rights management will reap attractive gains over the forecast period of 2017–2025. Globally prominent software firms are already offering a few enterprise apps that have information rights management interwoven in their security mechanism. One of the popular email apps is Microsoft’s Outlook used widely in organizations. Recently, technology giant Google has come up with several useful business-focused IRM features in the market after it announced an overhaul of its Gmail last month in April 2018. The move is made with the aim for upping the level of security and productivity across workplaces in businesses. One of such features of Gmail with which the company seeks to raise the ante higher is privacy-focused confidential mode which enables users to set expiration dates for emails. The features will be rolled out in a phased manner. In addition, the functionality that will fill the gap in IRM is the ability of users to block recipients from actions such as copying, forwarding, downloading, or even printing of some messages. Google will further bolster the capability of Gmail by adding robust email phishing detection. However, one factor that may limit the application of these IRM features is the lack of default setting. This means the user needs to activate this confidential mode each time a mail has to be sent. The study presents a detailed overview of the outlook of key regional markets and emerging prospects in various regions. The analysis offered takes a closer look at the regulatory landscape in major regions and assesses the impact of recent changes on the overall market dynamics. Some of the key regional segments in the global information rights management market are North America, Europe, Asia Pacific, the Middle East and Africa, and Latin America. 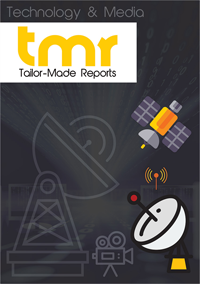 The study presents extensive profiling of prominent technology and services providers and their recent offerings. It highlights key strategies adopted by various players either to consolidate their shares or gain a better foothold in the market. A number of emerging vendors are securing sizeable funds from venture capitalists to accelerate the development of IRM technologies meant for cloud. This will open exciting avenues in the market. Key players operating in the information rights management market include Vera Security, Traxion, Locklizard Limited, Copyright Clearance Center, Nextlabs, Adobe Systems Incorporated, and Oracle Corp.